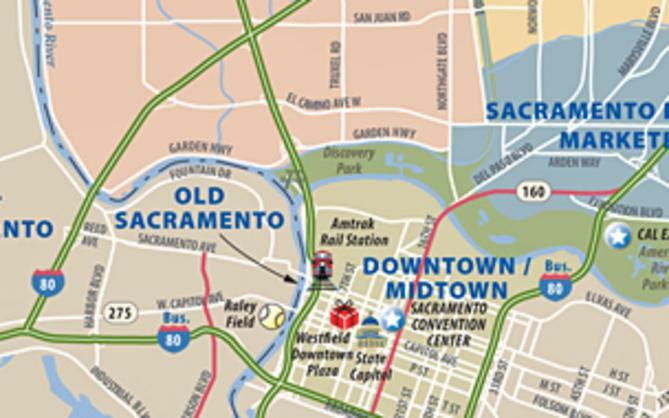 The new year brings several new downtown eateries to try out when you visit Sacramento. One highly anticipated restaurant that opened in December is Camden Spit & Larder, owned by the former chef at Grange Restaurant and Bar, Oliver Ridgeway. 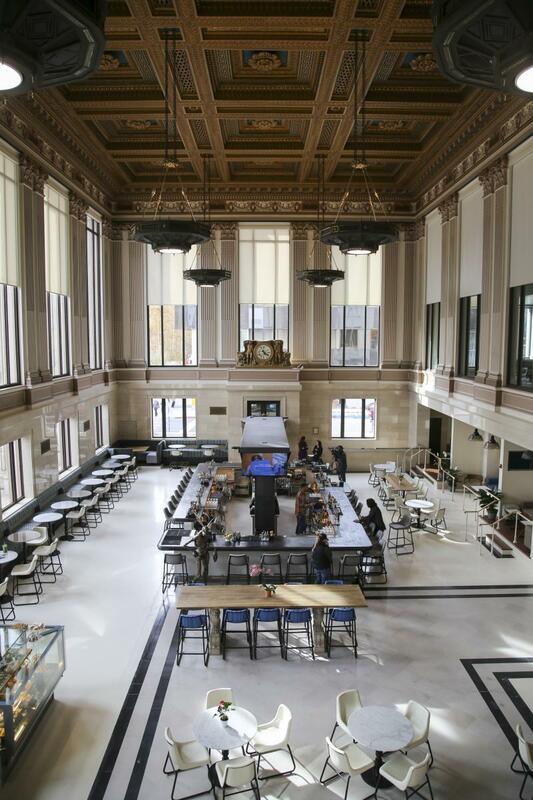 Another new spot that arrived in late 2018 and is still filling out its food vendor spaces is The Bank, which is similar in concept to San Francisco’s Ferry Building. Finally, Sacramento legend and founder of Tower Records Russ Solomon gets his culinary tribute with the upcoming opening of Solomon’s Delicatessen. Chef Oliver Ridgeway is known for his work at Grange Restaurant and Bar, and as a lead chef at Sacramento’s Tower Bridge Dinner, and his newest project is his own restaurant with a nod to his British heritage. 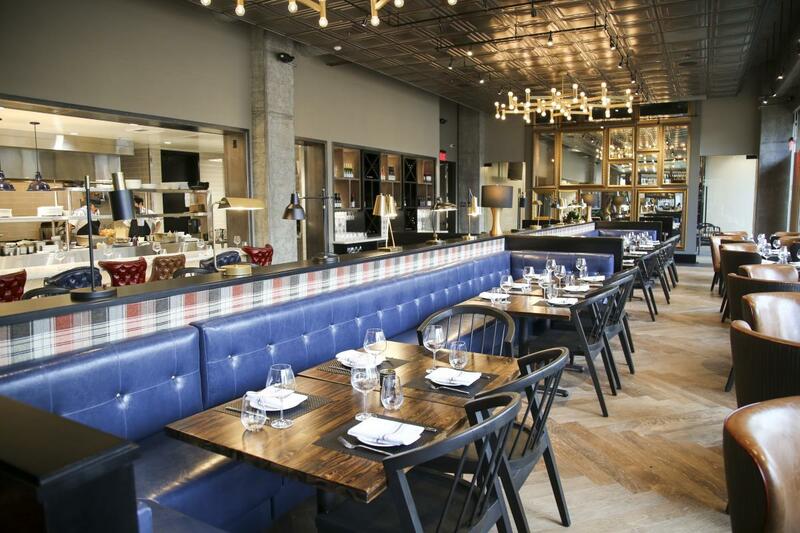 Large-format entrees are complemented by shareable dishes and appetizers, and his focus is on sourcing high-quality ingredients that are local whenever possible. The house-made sausages rolled in a puff pastry and served with curry mustard are a throwback to his youth, when he’d snack on them after schooldays, and at the other end of the spectrum is local caviar from Sterling and Passmore Ranch, but still at prices that make the dish approachable. The food is prepared in an open kitchen, and diners at the counter can watch the chefs work. The cocktail menu carries a lot of gin options, and with a patio that can seat up to 75, Ridgeway said he is excited to open his establishment on Capitol Mall, where diners can see Tower Bridge at one end and the Capitol at the other. Camden Spit & Larder is located at 555 Capitol Mall. The much-anticipated opening of The Bank brought another spot for Sacramentans and visitors to spend time and enjoy food and drink downtown. Reminiscent of public market halls that are popular across the country in places like San Francisco and Boston, The Bank features self-serve beer taps, an elegant and airy atmosphere on the main floor, private rooms available for rent and a growing list of food vendors, with more set to open in the coming months. 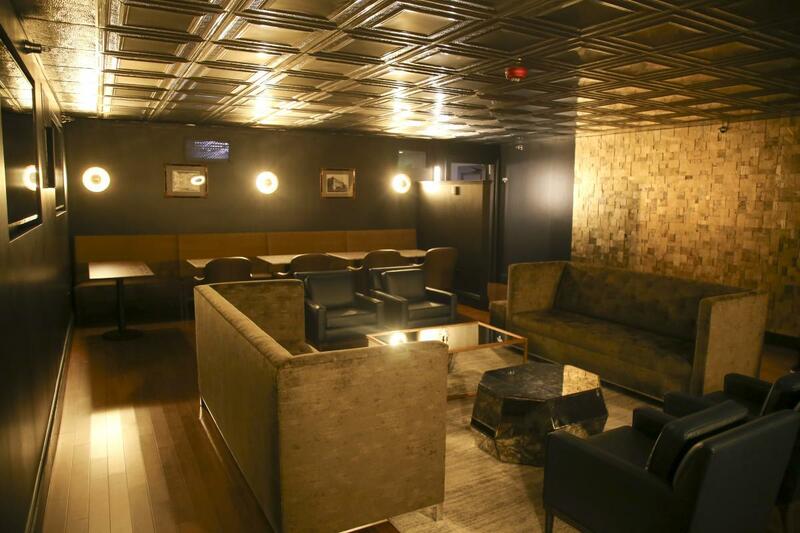 Set in a historic bank building, part of the charm of the space is being able to feel like you’re stepping back in time to an era where banks spared no expense, and even getting a chance to walk through the original, preserved vault doors on the way to some of the seating areas. 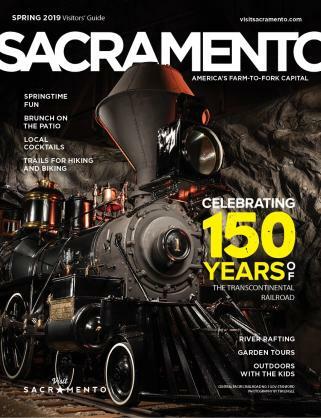 Often busy around events at the Golden 1 Center, The Bank is also a popular spot for happy hour, and should be on any visitor’s radar as a place to go to get a sample of Northern California eats and drinks. 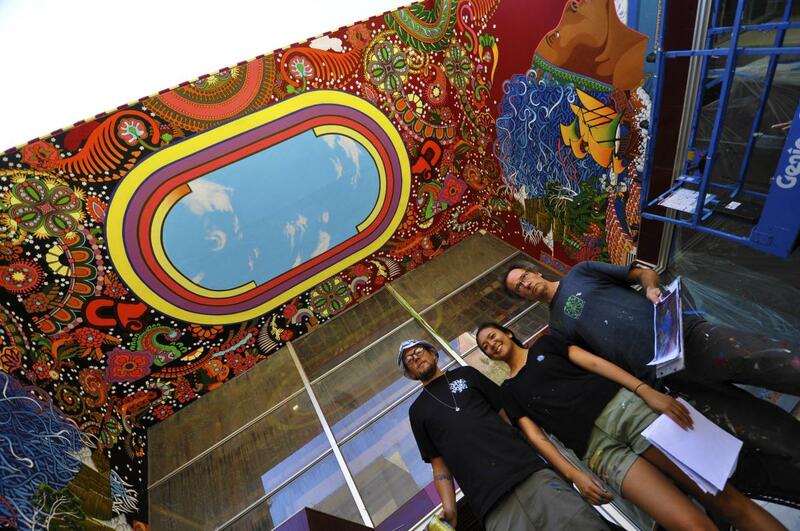 The Bank is located at 629 J St.
Mural artists Shaun Burner, Franceska Juliana, and Seumas Raibéart Coutts. Photo by by Angelo Esquivel. Tower Records was a Sacramento business that had worldwide renown, and founder Russ Solomon is the namesake for the new Solomon’s Delicatessen, a Jewish deli set to open in the first part of 2019 on Sacramento’s K Street near Downtown Commons. The striking mural on the front of the building was laboriously restored, the deli will boast the largest patio on the street, and the interior will feature ’60s and ’70s décor, recalling the heyday of Tower Records. The deli is counter-service, and Lepore said that in addition to eight seats at the counter, lounge seating on two floors, the patio will be a big draw, and she anticipates a lot of to-go orders. The upstairs space called the Russ Room can hold 150, and a stage will feature live music acts, comedy nights and other events, such as book tours. Unique drinks will be available, and many will be made using Solomon’s favorite liquor – Japanese whiskey. 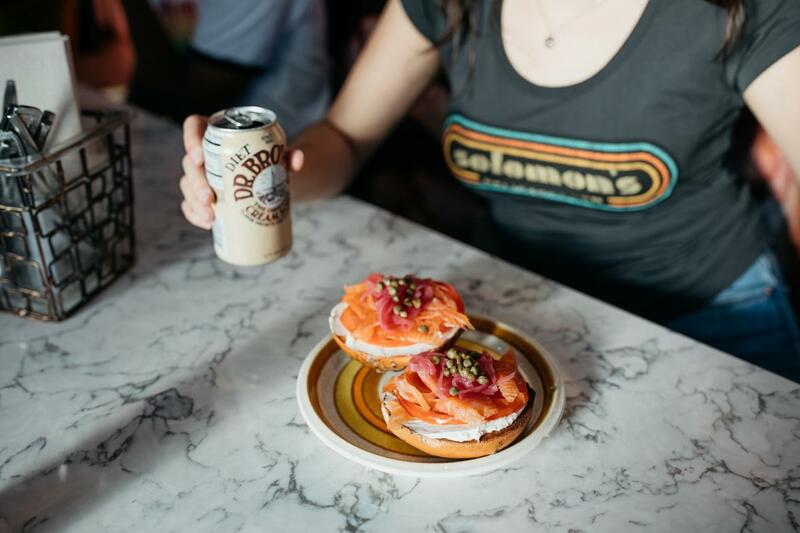 In a business built as an homage to Russ Solomon, it’s only fitting that one of the menu items would be named after him, and Lepore said “The Russ” is house-made nova lox or local smoked sturgeon, plain schmear, pickled onion, capers and tomato on a toasted bagel. Solomon’s Delicatessen is scheduled to open at 730 K St. in the first part of 2019.